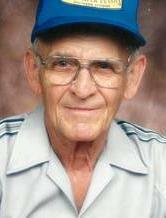 Marion Paul Brookreson, age 86 of Lampasas, Texas died Monday, September 3, 2012 at Spring Oaks Terrace. Paul was born June 22, 1926 in Buffalo Gap, Texas the son of B.K. Brookreson and Thelma (Collins) Brookreson. He married Mamie Ruth Taylor in 1946. Paul served in the U.S. Navy during World War II, and then worked for the Santa Fe Railroad as a dispatcher for 26 years. He enjoyed fishing and managing property. Visitation will be Thursday September 6, 2012 from 6:00-8:00 p.m. at Sneed Funeral Chapel. Funeral services for Mr. Brookreson will be held on Friday September 7, 2012 at 10:00 a.m. at Mt. Moriah Cemetery in Briggs, Texas.